A biker tends to put on any type of shoes and just focus on his biking skills. 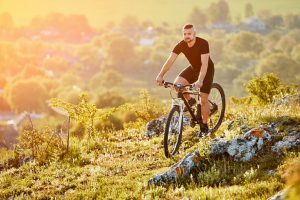 On the other hand, a professional mountain biker has many types of mountain bike shoes and choosing which one to wear is probably one of the most important things that he considers before his ride. 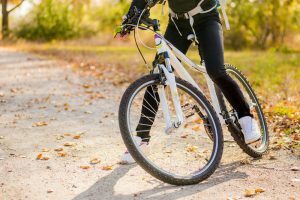 There are shoes that are specifically designed for mountain biking and wearing a perfect pair does not only make one safe, it can also make him become a good biker. 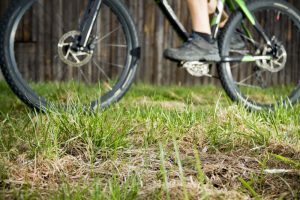 Can’t mountain bikers use any type of shoes? You can, no one can force you to wear special shoes, but these shoes will definitely make your ride and your experience more memorable. 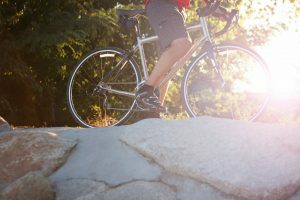 Irrespective of a biker’s skills, mountain bike shoes make the whole ride fun. The primary cause that people look for mountain bike shoes is for the use of clipless pedals. Such pedals require the cleat that snaps into the pedal. This cleat is present in the mountain bike shoes. If your pedals are of a different type, you can buy another type of shoes as well, but these clip pedals make your bike ride more efficient. 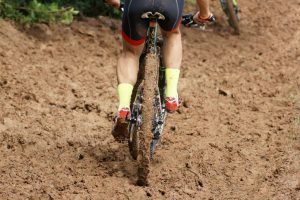 The common and important types of mountain bike shoes that will be discussed in the content are the following. A freeride or downhill rides are dangerous bike rides for which strong shoes are compulsory. Shoes for these types of activities are built to be heavy and strong to provide adequate protection and support. Their soles are flat and hard to ensure stiffness. A larger area is made specifically for the downhill type of clipless pedal. The way downhill shoes are manufactured makes them appear more casual as compared to the other types. Additionally, the design gives these shoes a cleaner look. 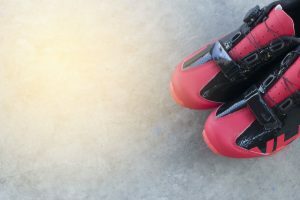 These shoes work the best for free rides and downhill rides because they provide the rider with the best grip. If you want something stern, then race cleats are the right choice for you. Their plastic sole is hard and comes with Velcro straps that allow you to ensure that they fit perfectly on your feet. These shoes should not be used to walk long distances or for any other activity for that matter. Race cleats are used for cross-country biking and performance biking. The design does not allow these for regular use. These shoes are the most expensive type out there due to the special raw materials that are needed for its production. For example, carbon is one of the raw materials used to make these shoes. They are similar to cleat shoes for baseballs or ski boots that are also used for only one specific type of activity. Another type of shoes made for mountain bike ride is the hybrids. Hybrids are also clipless and are used for flat pedals. They appear even more casual than the downhill mountain bike shoes. Their rubber sole is also flat. They have a rubber patch as well. This patch is removable and remains in the sole because if someone wants to incorporate cleats into their shoes, they can use this space instead of buying totally new shoes. They are known as hybrids because they can be used for biking as well as for hiking. They have a regular lace system to allow the shoes to fit tightly to your feet. Hybrids are more similar to the hiking shoes rather than race cleats. The design of these shoes is quite stylish. People buy these more because they like the appearance instead of looking into their use. Another noteworthy point is that the raw materials that are used to make these shoes are not as expensive as for race cleats. These shoes use, for example, suede or leather. Furthermore, they are more comfortable. Even though it is preferred that the shoes be clipless, there are some varieties that come with clips. They are also specially made for mountain bike rides, but they simply do not have the clipless quality. An example would be the Five Ten Impact series that are designed to be non-SPD mountain bike shoes. The soles of these shoes are hard and flat. A sticky rubber is attached to the sole to provide adherence to pedals. This rubber is specially added because of the lack of the clipless quality. The sticky rubber enhances the performance of the rider and allows more flexibility. Flexibility provides the rider to have a diverse range of movement. People who ride in the mountains just for the sake of it prefer these types of shoes. Or people that do not like their shoes to be snapped into their pedals buy these shoes. They are kind of multi-purpose in terms of free-form mountain bike rides. To sum up, you can use any shoes to enjoy your bike ride. However, for a regular biker, it is better than shoes specifically designed for cycling are used. The design proves to be quite useful for bikers. 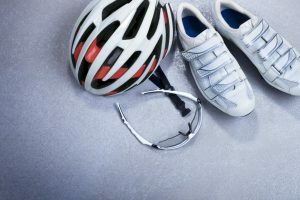 Regular athletic shoes are not too soft for someone who uses it for cycling. Bike shoes need to be stiff so that enough energy can be transferred to the pedals for maximum efficiency. 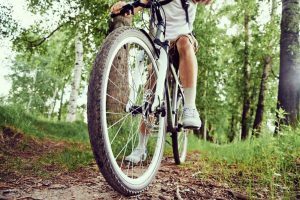 Hence, it is important that a biker knows the different types of mountain bike shoes.